TORONTO - The Royal Bank of Canada was scrambling to explain its hiring practices to customers Sunday after a media report claiming the bank was employing foreign workers to replace Canadian staff prompted a flood of outrage. Canada's largest bank (TSX:RY) said it has not hired foreign workers to take over the job functions of current employees, but said it uses outside companies as one of its strategies to improve "operational effectiveness." Zabeen Hirji, chief human resources officer, said the company is working to find suitable roles for 45 Toronto employees whose jobs are being outsourced. "RBC is not hiring new employees that are temporary foreign workers to do that work," she said in a phone interview, noting that those who will take on the work "are going to be the supplier's employees." RBC said it planned to discuss the situation with government officials. That wasn't enough to placate a number of Canadians who took to the Internet to express their anger at what many called unfair hiring practices. RBC was trending on Twitter in Canada Sunday afternoon. "Bad move @RBC I've been thinking about switching, thanks for making decision easy for me," tweeted one man. "What is wrong with you @RBC_Canada," tweeted another. "Making Canadians lose their jobs ... I will switch banks, if not corrected." The bank's move to clarify its hiring strategies came after a CBC News report that quoted a Toronto employee working in IT systems support for RBC Investor Services who said he and dozens of others were losing their jobs to temporary foreign workers. Dave Moreau told the public broadcaster that he and others are being made to train the new workers who will be taking their jobs. CBC said the foreign workers are employed by iGate Corp, a multinational outsourcing firm. The company's website says it has offices that provide services for RBC in India. The company's website also indicates it provides services for TD Bank and Pratt and Whitney Canada among other international clients. Human Resources Minister Diane Finley issued a statement saying the RBC situation is unacceptable if it is true. RBC responded by saying it requires all its external suppliers to follow applicable hiring regulations in Canada. "RBC agreements with suppliers, including in this case iGATE, requires them to ensure that they are abiding by the applicable laws and regulations," Greg Grice, RBC's head of Enterprise Services and chief procurement officer said in a statement. "External suppliers allow us to leverage their scale and technical skills to continually improve our operational processes and service, and re-invest in initiatives that enhance the client experience." The bank added that it recognized the impact such an arrangement had on its employees. Hirji said the bank is "continuing to work with our employees to help them retrain, redeploy and go through that process" so they can transition to other positions. Some Canadians called for a boycott of RBC on Sunday. One blogger urged offended customers to transfer their business to other institutions. Some commenting on blogger Norm Farrell's post said they planned to cancel their accounts. On Facebook, a "Boycott Royal Bank of Canada" group — which received 350 "likes" by mid Sunday afternoon —called on customers to voice their discontent by writing to the prime minister and his cabinet. "The temporary foreign worker thing I think is really designed to help out big corporations. They're stealing jobs from us and attempting to lower the average wage in Canada," said Jennifer Ridge, a student at McMaster University in Hamilton, Ont., who was one of the people co-ordinating the Facebook group. Ridge said she planned to close her RBC account in the near future. The prospect of a boycott didn't seem to shake Hirji, who said she believed the public's opinion would change once it became clear the bank wasn't hiring temporary foreign workers. "I think what people want to see is how are we working with the employees that are being affected," she said. When asked about the government's response to the RBC report, Immigration Minister Jason Kenney's office referred questions to Finley's office. Finley said her department would be working with Citizenship and Immigration Canada to determine next steps regarding the claims against RBC. 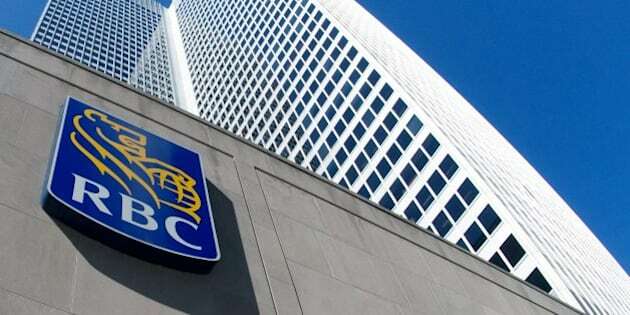 "We have recently learned of allegations that RBC could be replacing Canadian workers by contracting with iGate, which is filling some of the roles with temporary foreign workers. If true, this situation is unacceptable," Finley said in her statement. "Canada is experiencing significant skills and labour shortages in many regions. When there are jobs available, Canadians must always be the first in line for opportunities from employers who are hiring." Meanwhile, the United Steel Workers, which was among those voicing its disapproval of RBC, said the entire temporary foreign worker program and the government's handling of it, needed to change. "They have to re-look at this entire program and do it right. No one's opposed to workers coming to this country, but not the way they're doing it, not the way they're treating people," said USW National Director Ken Neuman. "If you're going to bring workers to this country, if they're good enough to work here, our position is they should also be able to transition and become permanent residents." The USW added that it was ready to assist RBC workers and represent them in legal matters as needed. In 2012, there were more than 213,000 foreign workers in Canada, compared with over 160,000 immigrants who arrived under the federal skilled worker program. The rapid growth of the temporary foreign worker program has raised concerns that Canadian companies are filling job vacancies with cheaper workers from overseas rather than actively finding Canadians to fill the jobs. Much of the government's latest budget, released in March, focused on reversing that trend, with millions being allocated for training and job creation programs. At the same time, the government is continuing to overhaul the temporary foreign worker program. The changes were prompted in part by a continuing controversy in B.C. surrounding a mining firm allowed to bring in foreign labour after insisting that a requirement to speak Mandarin meant it couldn't find Canadians to fill their jobs. The budget said that's no longer going to be an excuse and also said employers will have to advertise longer and farther to find Canadians to fill jobs before looking overseas. In late February, RBC reported a first-quarter profit of $2.07 billion, or $1.36 per share, up from $1.86 billion, or $1.23 a share, a year ago. Its revenue grew to $7.91 billion, from $7.57 billion a year earlier.